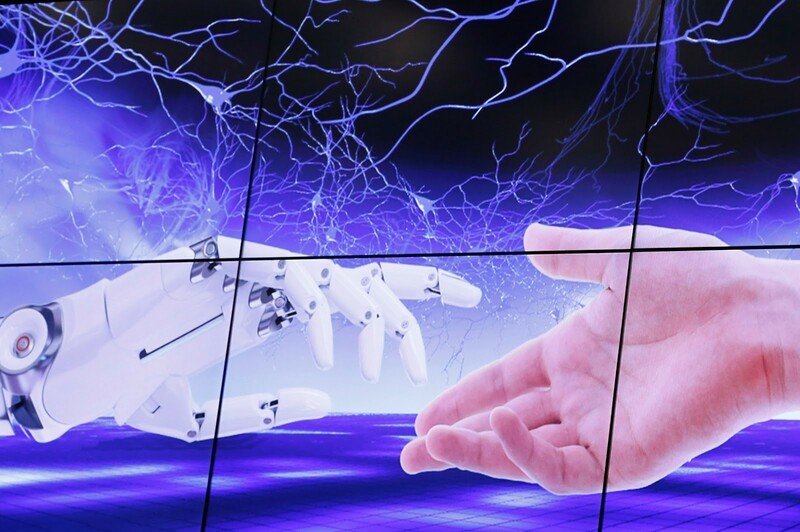 Rise of the robots ... More than a fifth of the human workforce could be replaced, says a new report. More than a fifth of the global labour force - 800 million workers - might lose their jobs because of automation. The impact on jobs will be different in different countries, industries and activities, says the report, which adds that both developed and emerging economies will be affected. At least one-third of tasks could be automated in about 60% of jobs, which means substantial changes for employers and workers. Machine operators, fast-food workers and back-office staff are among those likely to be most affected. But creeping automation is unlikely to have such a big effect on jobs that involve creativity, expertise, managing people, or those that require frequent social interactions. Careers such as gardeners, plumbers and carers for children and the elderly care are also less likely to be affected as “they remain challenging to automate and don't usually earn high wages”, McKinsey said. 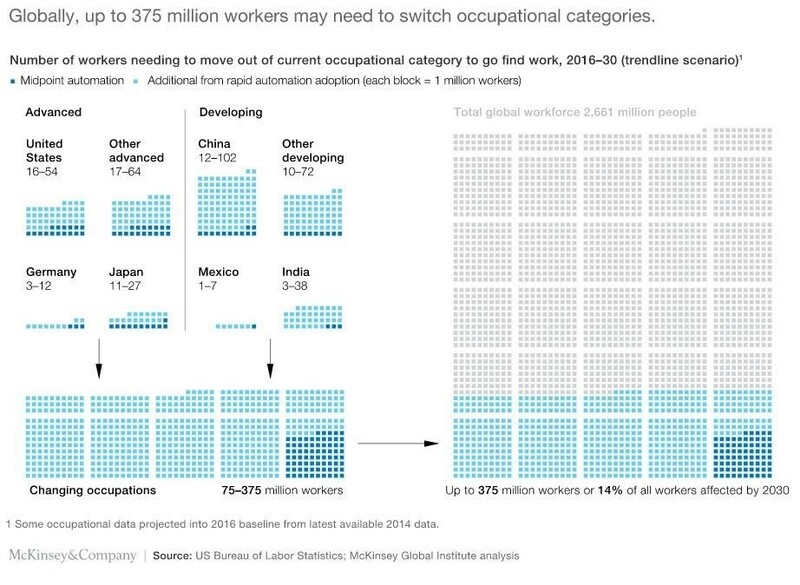 McKinsey suggests that up to 375 million workers around the world may need to switch jobs and learn new skills - to 100 million of them in China alone. Meanwhile, up to one-third of the workforce in the US and Germany, and nearly half of Japanese employees, will have to learn new skills or change jobs. 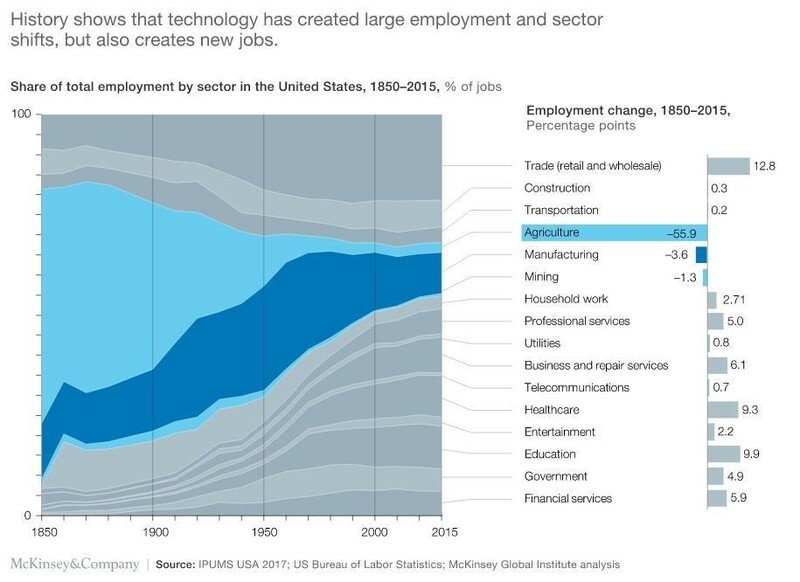 However, history shows that, while technology is disruptive, it also creates jobs. Between 8% and 9% of new jobs in 2030 will not have existed before, McKinsey says. In addition, certain sectors, such as healthcare and technology, would see a massive growth in jobs. The report adds that, as long as there is continued economic growth, innovation and plenty of government funding, there are likely be enough jobs to offset those lost.